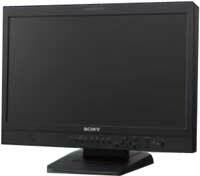 The LMD-2110W is a 21.5-inch* full HD-resolution (1920 x 1080 pixels) multi-format professional LCD monitor. reproduction and natural gray scale. various other simple picture monitoring tasks. images thanks to its wide aperture LCD panel. depth and saturation – creating highly natural images. and a smooth gray scale along CRT-like gamma. Picture delay can be minimized for audio synchronization.